Due to the increasing use of bicycles as a means of urban transport in Barcelona, more and more bike lanes are installed. Our flexible A-Resist bollards and road separators are ideal for protecting cyclists and improving bike transport. Due to the fact that bicycles are more and more used as a means of transport and since bicycle lanes are more and more installed, our A-Resist bollard is the ideal product to protect the cyclists from the carriage. After receiving an impact the bollard go back at its original position without any deflations or breakings. 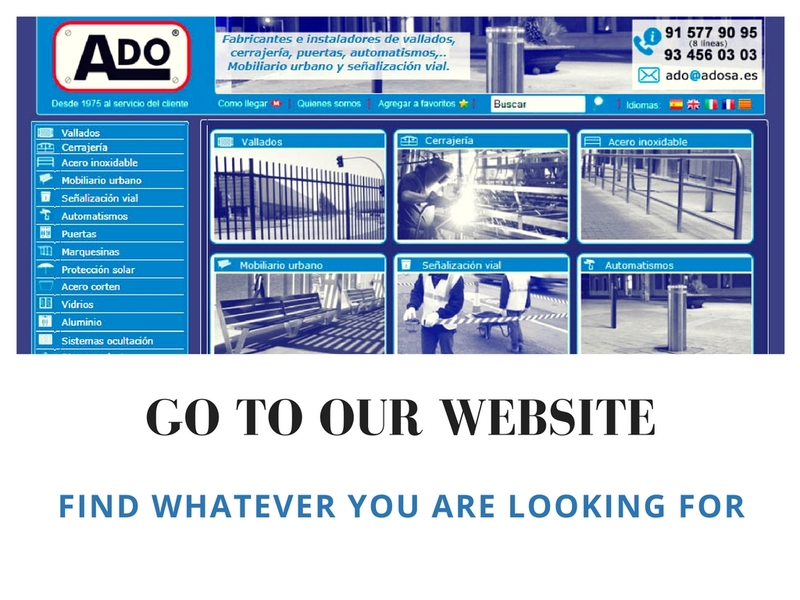 They do not rust, they have no coat and do not need maintenance. Flexible A-Resist Ado Bollards are characterized by returning to their original shape and position after impact. In this case they are installed to delimit the tracks of the tramway as much as the sidewalk of the road. Protecting pedestrians from walking on the sidewalk and preventing cars from moving to tram tracks.. 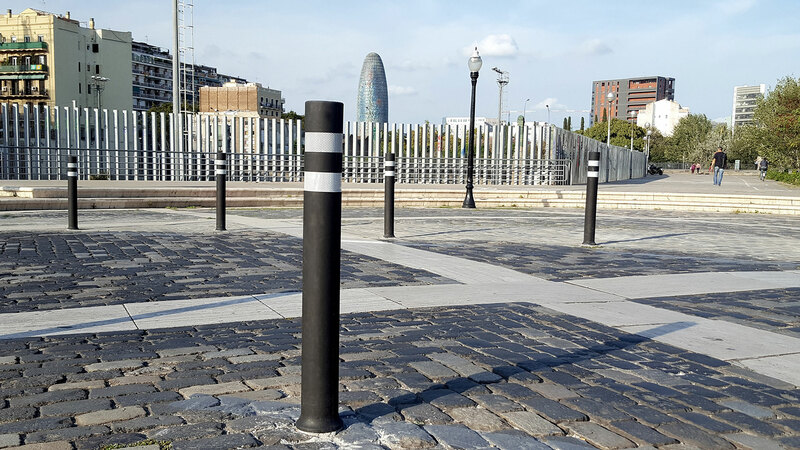 Installation of flexible bollards model A-Resist, colour black, in Barcelona. These bollards were installed in order to demarcate the pedestrian area next to the road, to ensure pedestrians safety. The innovative design conceived with a reinforcing plate enables our A-Resist B bollards to return to their original shape and position in case of impact. A-Resist flexible bollards, fixed and removable, installed in the seafront of L’ Estartit, in Gerona, with the aim of hindering the passage of vehicles to this pedestrian area.